This item is for holding camera lens cap approximately 67 mm and under in diameter. This item is for holding camera lens cap approximately 67 mm and under in diameter. It would also be a great idea to carry SD cards and other small items in the holder. 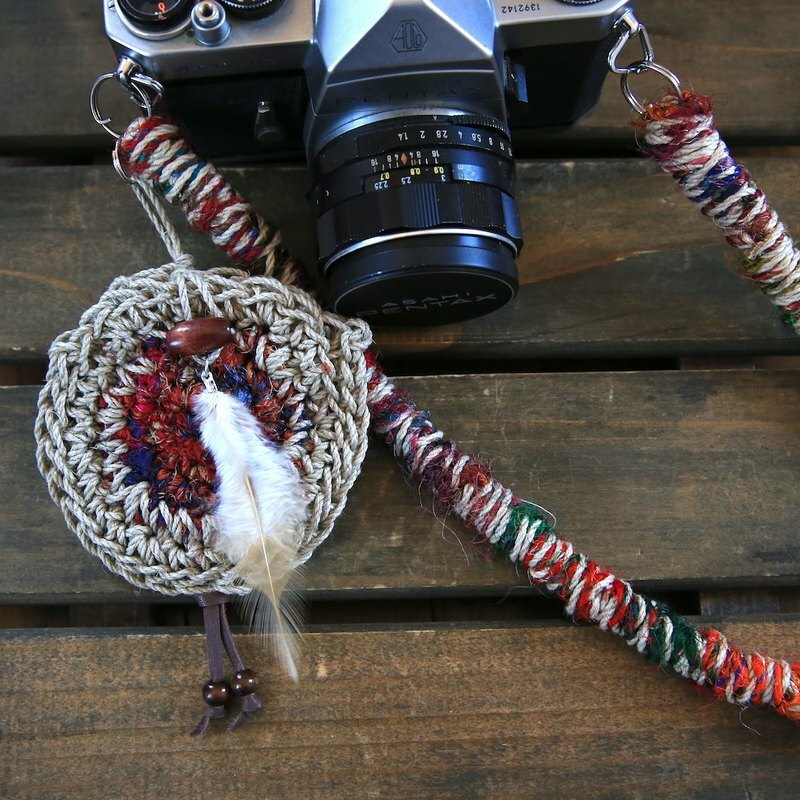 Diameter: approximately 9 cm Length from the double ring to the end of leather cord: approximately 17.5 cm You can carry a lens cap in this holder made of silk thread and hemp. I'm inspired by the taste of dreamcatcher, so I decorated the holder with some feathers, leather cords and wooden beads to finish it in folklore mood.